There have been very few things that struck me as beautiful when I first witnessed them whose beauty has not diminished over time. 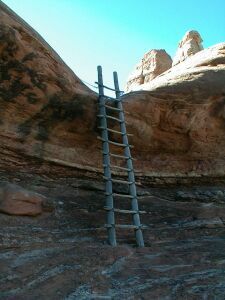 One of these is the diagram that Richard Rose used, in his Psychology of the Observer, to illustrate the climb by which we find our way back to our eternal source  and the pluperfect name he gave to it: Jacob's Ladder. 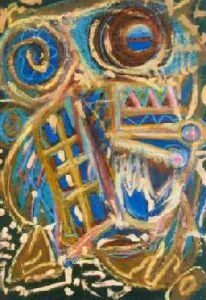 The name comes from a story in the Old Testament book of Genesis, about a dream that young Jacob had: "... And behold a ladder set up on the earth, and the top of it reached to heaven: and behold the angels of God ascending and descending on it. And behold, the Lord stood above it, and said, I am the Lord... I am with thee, and will keep thee in all places whither thou goest, and will bring thee again into this land...." (28: 12-15, King James version). Rose taught, as I believe all the great teachers have, that each person has to make this trip for themselves, and that while we can gain inspiration from others who have been down the road  or up the ladder  all comes down to self effort. That effort, he told us, takes the form of defining or discovering what the true self is. There's a subsequent story (Genesis 32:24-30) of what may have been part of Jacob's struggle for self-definition: "And Jacob was left alone; and there wrestled a man with him until the breaking of day..." The outcome: "I have seen God face to face, and my life is preserved." 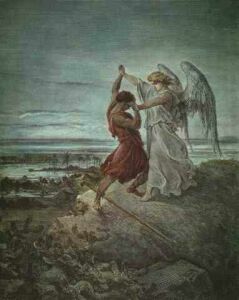 It's interesting that this passage is usually captioned as Jacob wrestling with an angel. The term angel comes from the Greek angelos, or messenger, and this was apparently one of the instances when someone attributed with bringing news from the Lord appeared in regular human form. 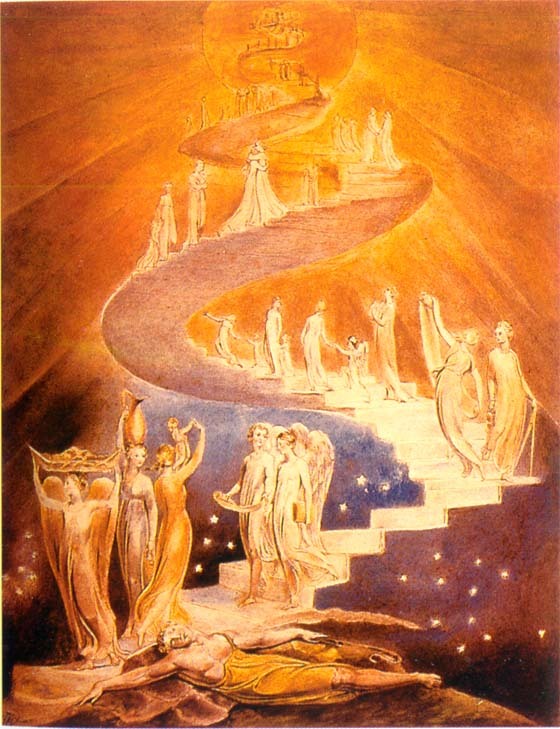 Rose wrote that were it not for its intuitive ability, which he referred to as the "invisible current" coming down Jacob's Ladder into the mind from a source other than sensory perception, the mind would be caught in a hopeless trap. Interior work, he wrote, hinges on the recognition that the mind visualizes, moreso than accurately witnesses, what it "sees" through sensory perception. And with this ability to visualize or create, Rose wrote, comes the ability for self-delusion. When we realize that we have the ability to fool ourselves, this indicates something else for our consideration: we have thus dichotomized ourselves. There is a part being fooled and a part doing the fooling. Once this process is observed, the outer mind  the source of the delusion of the inner self  is seen as a mechanical process. It is no longer the observer, which is then operating from a more interior point of view. "We have just taken the first major step inside of ourselves," Rose wrote. Note: The above references to Richard Rose's writing come from the Psychology of the Observer.